Amazing work as ever man - please do divulge where he head is from? It's such a nice fit to the Warlord plactic mini! Cheers buddy - is it the 'fine' scale ones you used? Damn that they are out of stock - I'll need to keep my eyes peeled for them. I'm not happy that I didn't build up all of some Warlord Games Landsknechts I got a while back - I can now use these heads to add some variation across the army. Think I will need to get another box though to buff up those ranks even more! No, I used their heroic version. 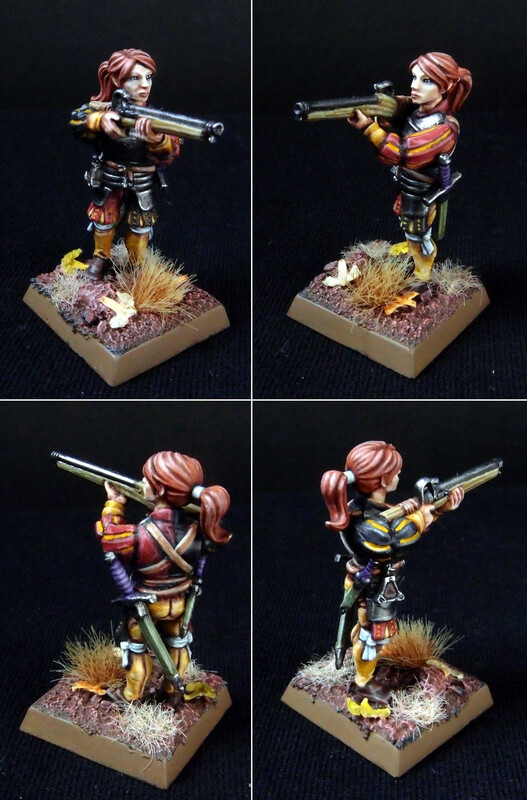 I hadn't thought about the Warlord Landsknecht when I bought the head and used them on GW minis first. It worked well enough but I often did some conversion work to slim down the bodies. Then I found Warlord and figured their fine scale would be perfect for women bodies in an otherwise heroic scale army, and I think it worked really well. Man, the heroic fits so well as it is - I'll be sure to pick up those over the 'fine' variant.